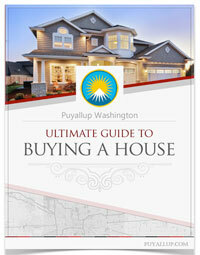 You’re considering selling your home and you live in Puyallup. 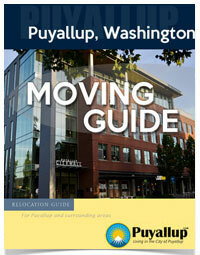 The City of Puyallup is a great location and in high demand. With that being said, some areas are better than others but preparation is the key before deciding to list your home for sale. Here are some tips for selling your home and getting the best deal around. If you have ever sold a home you probably know how stressful and difficult it can be. Unless you have months and months before you need the house to sell, you probably could use some tips to make selling your home faster. It is wise to have a professional to work with you and help you with preparing the house for showing. Professionals also know how to use the multiple listing service or MLS. You’ll want to make sure you’re on the MLS list because that is a lot of extra exposure. You should try to find a professional who uses all the technologies and understands tools that are currently available to help. Find a Puyallup agent with a lot of experience and sells real estate full-time. A marketing background is important as well. Most agents will want you to sign a listing agreement which commits you to them for a certain period of time so pick an agent you’re confident about. A first impression is usually the only impression. It doesn’t matter how great the interior of the house looks, buyers have usually already made their judgment from the front and the area around the front of the house. You never will get a second chance so the first impression needs to be the best. Clean up your yard and try to add some color. It should be nice and clean. You also can do some little touches in order to make a person feel welcome, warm and safe. This is called curb appeal and spending some money on inexpensive shrubs or colored flowers is worth it. Don’t forget to take great photographs as well. Entry ways need to also be welcoming by placing a small bench or chair, fresh flowers or some cookies. Have a friend of family member do a walk through with you so you can get their feedback on any issues like cleanliness and bad smells. When painting use a paint that is a neutral color as this is an easy way for the buyers to imagine their personal style. Buying one stainless steel appliance makes potential buyers think that all the rest are expensive also and updates the kitchen. Don’t be afraid to ask your selling agent what he/she thinks would work best. They know what colors sell best. Fresh paint gives the impression of a cleaner environment and helps remove any bad smells if that is an issue for your home. A fresh paint smell is better than a dirty dog smell. Get rid of all the junk in any room – you will have less to move and the potential Puyallup buyers will have less to make the home look unappealing. Your home should appear minimal. Having a expert real estate agent can help you with this if interior design is not your thing. You want to attract the biggest audience when showing your home so it needs to have a certain feel. It’s import to pack up knickknacks and most of the stuff that is sitting on top of tables, countertop or any flat surfaces. This makes for a home that looks like you could be out in a few days. As discussed, you want to attract the biggest audience. The buyers must be able to see themselves (or their family) in their new Puyallup home. These are items that can be packed up and put in storage. Even if you have to store some items with your family or friends it’s really an important step in getting your home sold quickly. According to Realtors.org, 38% of home buyers are first time buyers. They need to imagine a life, their life, in your home. Make it easy for them to do just that. •	Will you be able to work with an agent for the buyer’s? •	Are you able to price your home in the market today? •	Are you able to take charge of all of the sales and marketing duties? •	Are you able to screen potential buyers? •	Do you have an attorney to work with on documents you will need? • If you have a full-time job, do you honestly have the time to complete the transaction? Remember that it is most difficult to sell family size homes before school is out for the summer. Most families want to make a move after school is out as it is less stress and strain for children when children are able to avoid changing schools in the middle of the school year. So you should not expect many potential Puyallup home buyers until schools are out. Actually many advisors believe that spring break is the perfect time to put the house on the market. Listing your home, for sale by owner, puts more stress on your shoulders and might not be worth the savings that you might or might not make. So think carefully before you make the decision of selling with an agent or for selling by owner. Also some of these are tips that make putting your home up for sale less traumatic by selling faster and helps with some of the stress that this major event in your life can bring. It’s important to consider all these items before selling your home. Don’t be afraid to talk with a real estate professional and invite them over to give you a free price evaluation for your area.